Goldendale Observatory State Park houses a 24.5 inch reflecting telescope in the South Dome, which was built by amateur astronomers at Clark College in the late 1960's. 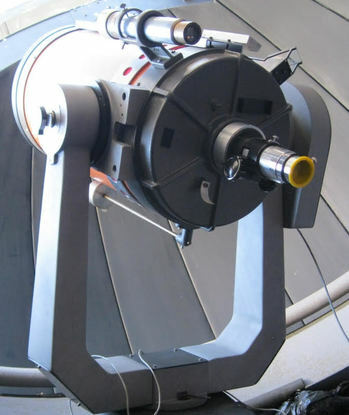 The telescope is carried on a computer-controlled equatorial mount. 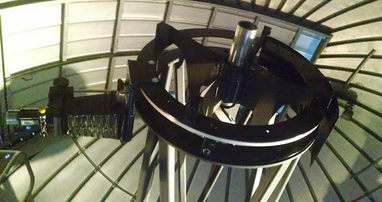 ​Attached to the 24 inch telescope is a 6 inch refractor telescope. 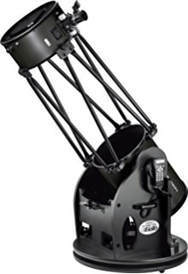 At the recommendation of the Friends of Goldendale Observatory, the optical configuration was changed from a Cassegrain to a Newtonian, which is much better suited for both visual and photographic imaging use. An extensive mechanical refurbishment was also done, and "first light" of the updated Newtonian configuration occurred in September 2016. Given the large changes in temperature experienced at the Observatory, Friends also recommended replacing the original very thick Pyrex mirror with one that uses a modern thin mirror made from low-expansion fused quartz and having much better thermal stability. The updated telescope has greatly improved optical performance. 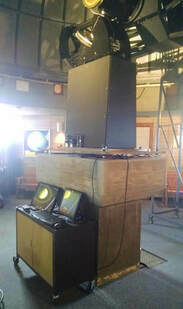 ​The redesigned pier and base plate allow for more accurate tracking of the telescope. This will enable better viewing and long exposure imaging with the new optics. ​The upper end of the telescope has a flat rotating bearing assembly to hold the new secondary mirror and focuser, which allows for optimum placement of the eyepiece for viewing. ​The bearing was donated to the Observatory by FOGO. The North Dome is home to a Celestron 14 inch f/11 Schmidt-Cassegrain telescope mounted on a high-end Mathis MI 500 fork mounting with Ed Byers precision drive gears and stepper motors. FOGO found and helped transport this instrument to Goldendale Observatory - at a substantial savings to Washington State taxpayers - from central California. The telescope is used for imaging and live-video display during evening presentations. 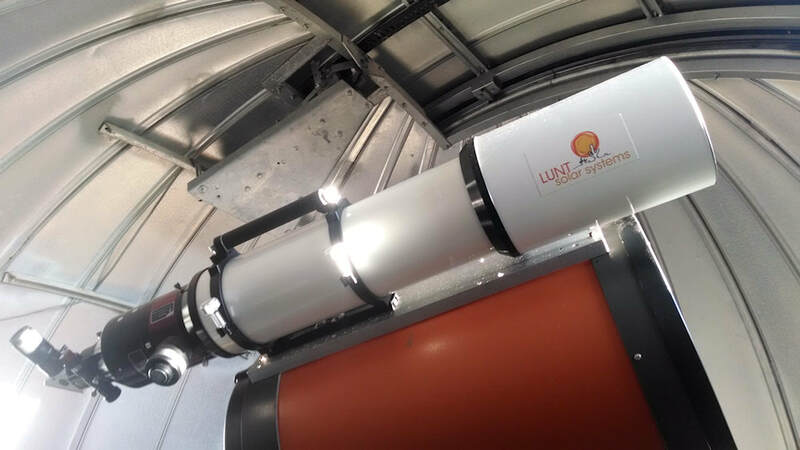 ​Attached to the C14 is a Lunt Solar Systems LS152THa 6 inch Solar Telescope; the largest continuous production Hydrogen-alpha solar telescope in the world. This instrument is utilized during afternoon presentations for either direct solar viewing or HD video output onto displays and projectors throughout the facility. FOGO encouraged obtaining this instrument for the Observatory, which replaced a smaller H-alpha solar telescope that the Friends had also recommended purchasing years earlier in order to bring enhanced daytime viewing and education opportunities to the Observatory. For outdoor mobile use on sidewalks and decks during evening presentations, the Observatory also features an Orion 14 inch f/4.6 Dobsonian telescope donated by a FOGO member, and a number of other portable instruments, including astronomical binoculars.